The death of Costa Rican horse Dorado early in the endurance competition this morning marred the Alltech FEI World Games. 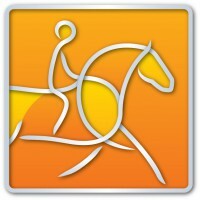 Costa Rican combination Claudia Romero Chacon and Dorado suffered a fall during the first loop of the endurance competition of the Alltech FEI World Equestrian Games shortly after 8:30 a.m. local time. The pair fell 13.6 km. into the course, just 400 meters before the first checkpoint. Dorado died instantly. Romero has undergone surgery for fractures and internal injuries and is reported in serious but stable condition. The FEI also confirmed two unrelated incidents in which two riders sustained minor injuries. Isha Judd, from Uruguay, suffered a fractured right femur in a fall from JQ Zarial. No report on if the horse also sustained injuries. And Costa Rican Alberto Morales Morales was taken to the hospital for observation after he complained of neck pain after completing the first loop. No other information on that incident is available yet. Romero and Dorado finished third in April at the Canas CEI*** (Costa Rica). Dorado (Siroko—Catrina, Rey Mago), owned by Jorge Eduardo Vargas Jenkins, was 12. Official results are forthcoming, but preliminary results have United Arab Emerites’ Sheikh Hamden bin Mohd Al Maktoum winning on Yamamah over the Netherlands’ Marikje Visser and Laiza de Jalima. Chronicle reporter Lisa Slade is on the scene the endurance competitors and will check in with updates. Follow along with The Chronicle as we bring you all the news from Normandy.